The John Muir Trust has said the project will help relieve congestion for walkers heading for Blàbheinn on the Strathaird peninsula. The new facilities will increase the parking capacity from about 16 to 34, and will involve the installation of two composting toilets, at a cost of £100,000. Three-quarters of the cost is covered by a grant from the Rural Tourist Infrastructure Fund administered by Visit Scotland. Disabled access will also be included, and the trust said the composing loos will need minimal maintenance. The JMT submitted a planning application to Highland Council last week. Sarah Lewis, the trust’s Skye conservation, officer said: “As everyone knows, tourism in Skye has been growing rapidly over the past few years, but the island’s infrastructure is lagging behind. “The John Muir Trust has invested heavily in footpath repairs recently, but we are also looking at how best to manage visitor pressures, especially around Blàbheinn, which is one of Scotland’s finest and most popular mountains. “We are confident this application will be successful because it will relieve parking congestion and would help us keep the main access route to the mountain landscape tidy and free from the mess that some tourists, unfortunately, do leave behind. “There is no mains water supply in the vicinity, so composting toilets are the most cost-effective way to provide public conveniences at the foot of Blàbheinn. The JMT said it is also working closely with the Broadford campus of the University of the Highlands and Islands to train students and local people in footpath-building skills as part of the crofting and countryside skills course. 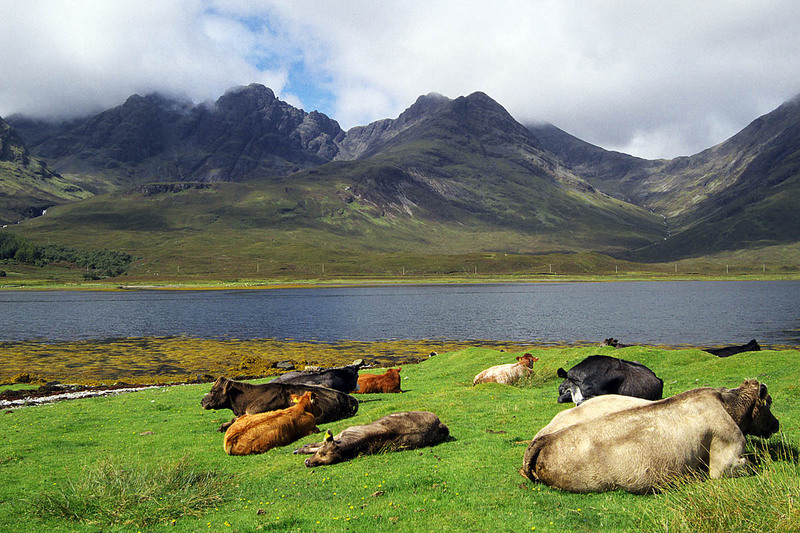 The charity manages 12,000ha (29,650 acres) on Skye, including the Strathaird, Torrin and Sconser estates, crofting settlements such as Elgol and part of the Cuillin Hills national scenic area. Over the past two years the trust has, with the support of its members, supporters and external funding bodies, invested £263,000 repairing and upgrading its network of footpaths, on the island, including the Sligachan to Loch Coruisk route, the Elgol to Camasunary path, and the scenic loop path at the Allt Daraich gorge between Sligachan and Glamaig. Nothing about the inevitable parking charges then?